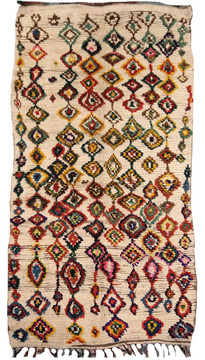 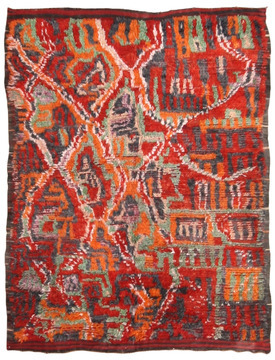 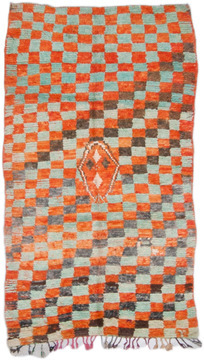 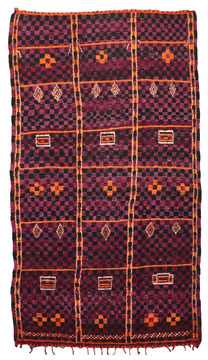 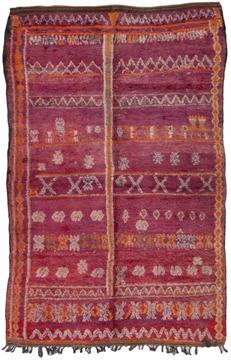 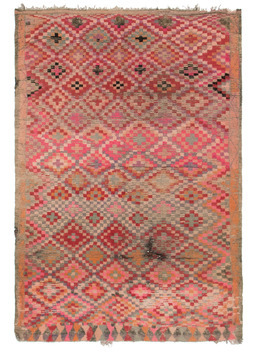 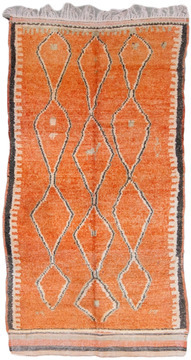 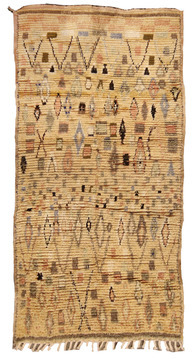 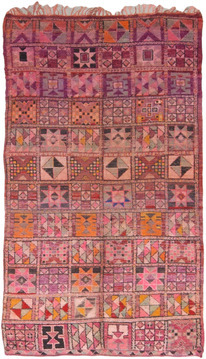 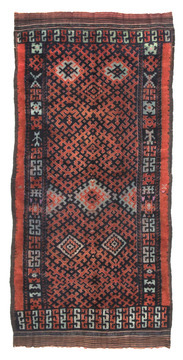 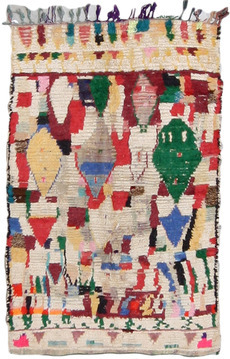 A richly colored and ornamented Moroccan Vintage Rug. 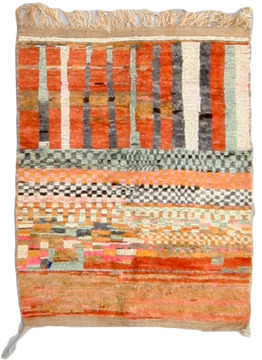 Red, orange, jade green, cream and black predominate. 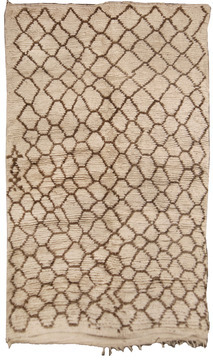 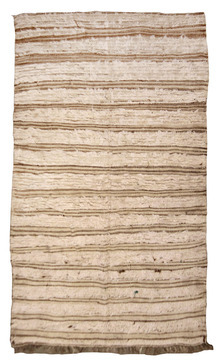 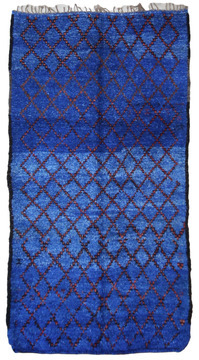 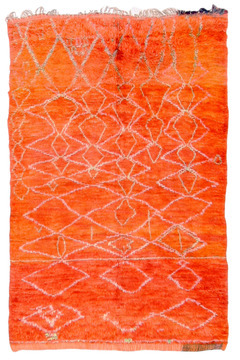 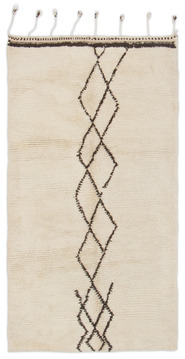 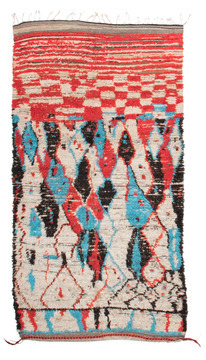 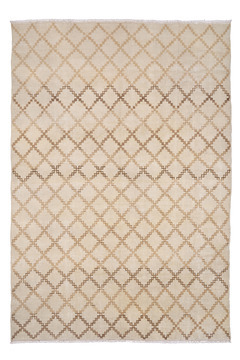 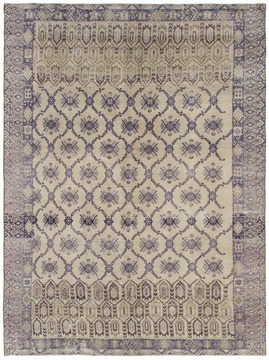 The rug presents a variety of open geometric designs and dense floral emblems. 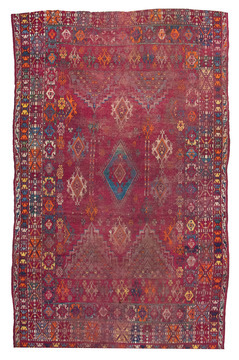 A palette of spring colors would be ideal.